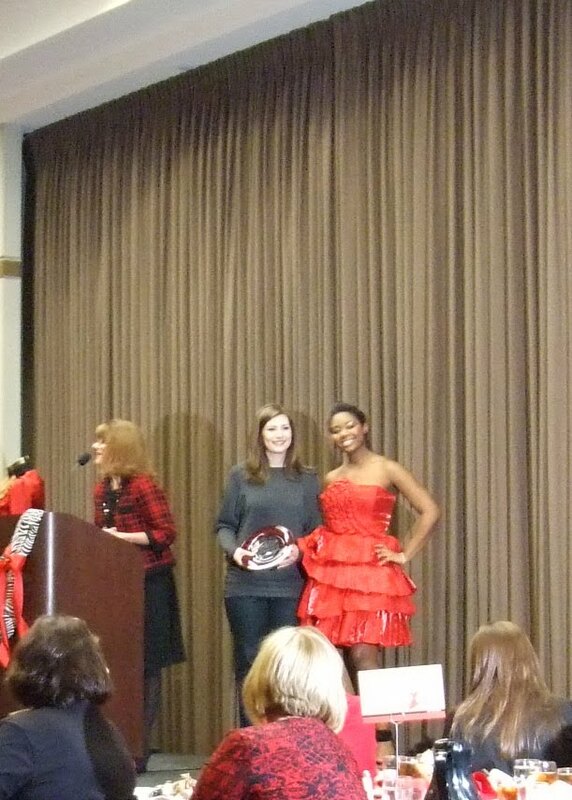 In the Go Red Luncheon/Style Show on February 11, Junior student, Jelyn Hobson, received First Place recognition from the judges for her red dress design. 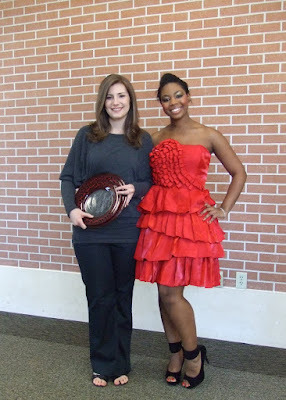 In addition, she received the most votes from the audience and won First Place of the People's Choice Awards. Congratulations to Jelyn Hobson for both honors. Go Red promotes awareness of women�s battles with heart disease and stroke. The luncheon and style show supports the American Heart Association and Women of Denton.